← Are You A “Teeze”? Look down – at your feet – and ask yourself this question…are they sandal ready? I can tell you, mine aren’t! Cozied up in socks all winter and now they need some attention. Foot and toenail care products and tools work wonders to have feet that look like they just stepped out of the nail salon. Who needs to spend the time or money on a pedicure when you can get the same results at home with just a few simple steps and key items? Foot Creams & Scrubs hydrate and polish. Open toe shoes are really only as cute as the freshly painted toes and moisturized feet inside them. 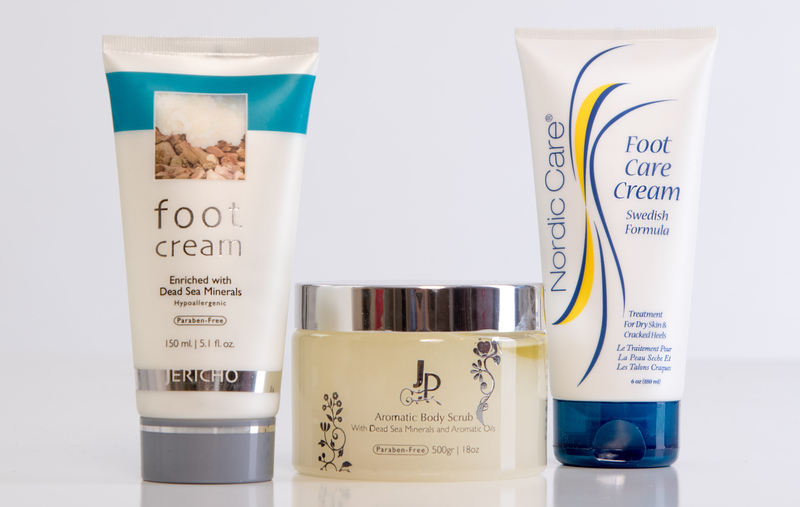 Jericho Foot Cream infused with minerals from the Dead Sea and Nordic Care Foot Care Cream are made especially for feet. Both are perfect choices for hydration and moisture. They make my skin soft and healthy-looking. I like to slather some on after my morning shower and just before crawling into bed at night. Jericho Premium Aromatic Body Scrub, enriched with minerals from the Dead Sea and natural oils, is great to use while showering. It works to exfoliate and polish feet – legs, arms, elbows and hands, too! 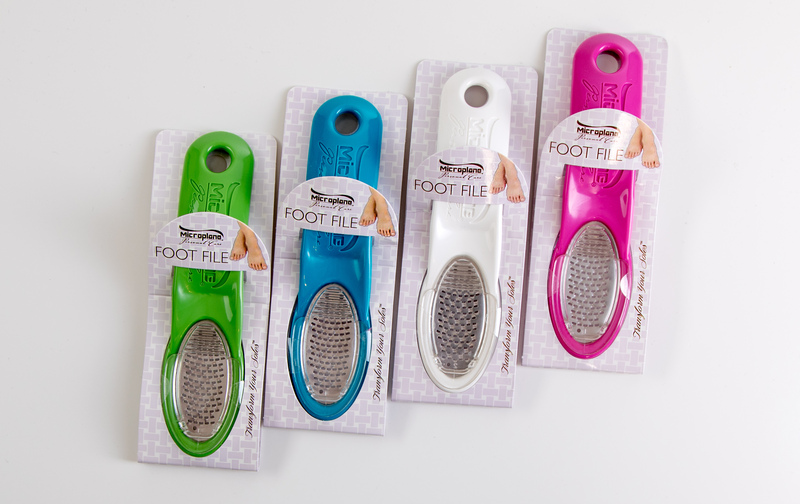 The Microplane Foot File transforms your soles from rough and dull to super smooth by ‘filing away’ dead skin cells. It’s quick, easy and gentle on heels and callouses. Get softness & smoothness with the Microplane Foot File. And, don’t forget a very important part of foot care…your toenails. Clippers and files by Tweezerman and Seki Edge are essentials for well-groomed and shaped, non-jig jaggedy nails. 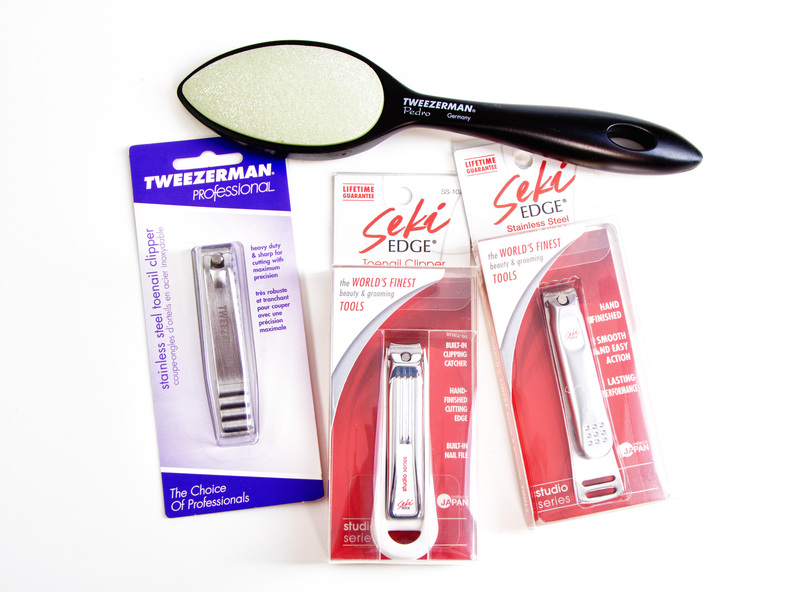 Tweezerman & Seki Edge tools made for feet. C’mon, sole sisters, it’s sandal season – get fantastic, fabulous, happy feet. And make those hot new shoes even more of a statement! This entry was posted in foot care, foot products, pedicure and tagged foot cream, foot files, toenail clippers. Bookmark the permalink.